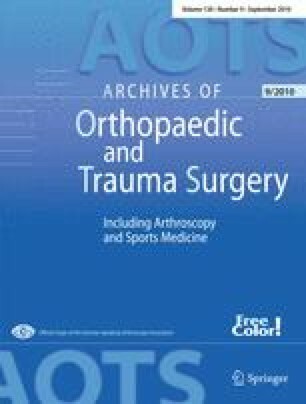 It is still controversial whether adjacent level compression fractures after balloon kyphoplasty (BK) and vertebroplasty (VP) should be regarded as the consequence of stiffness achieved by augmentation with bone cement or if the adjacent level fractures are simply the result of the natural progression of osteoporosis. The purpose of this study was to evaluate the adjacent level fracture risk after BK as compared with VP and to determine the possible dominant risk factor associated with new compression fractures. 73 consecutive patients with painful vertebral compression fractures (VCFs) were enrolled in a prospective nonrandomized study. BK was performed in 46 patients (51 vertebral bodies) and VP in 27 patients (32 vertebral bodies). The first patient’s visit was before the operative procedure, when clinical and radiographical examinations were done. The follow-up visits, considered in the analysis, were on the first day and after 1 year, postoperatively. In 1 year, 3 out of 46 patients (6.5%) treated with BK, and 2 out of 27 patients (7.4%) treated with VP sustained adjacent level fracture. More patients with a BMD higher or equal to 3.0 experienced a new fracture than those with a BMD less than 3.0 (odds ratio = 13.00; 95% confidence interval: 1.35–124.81), and the risk for adjacent level fractures decreased significantly when the postoperative kyphotic angle was less than 9° compared with that of higher or equal to 9° (odds ratio = 12.00; 95% confidence interval: 1.25–114.88). Our results indicate that BK and VP are methods with a low risk of adjacent level fractures. The most important factors for new VCFs after a percutaneous augmentation procedure are the degree of osteoporosis and altered biomechanics in the treated area of the spine due to resistant kyphosis. These results suggest that the adjacent vertebrae would fracture eventually, even without the procedure. BK and VP offer a comparable rate of pain relief.